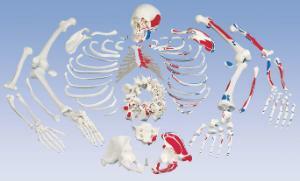 This skeleton is perfect for introducing individual bones of human form to students. 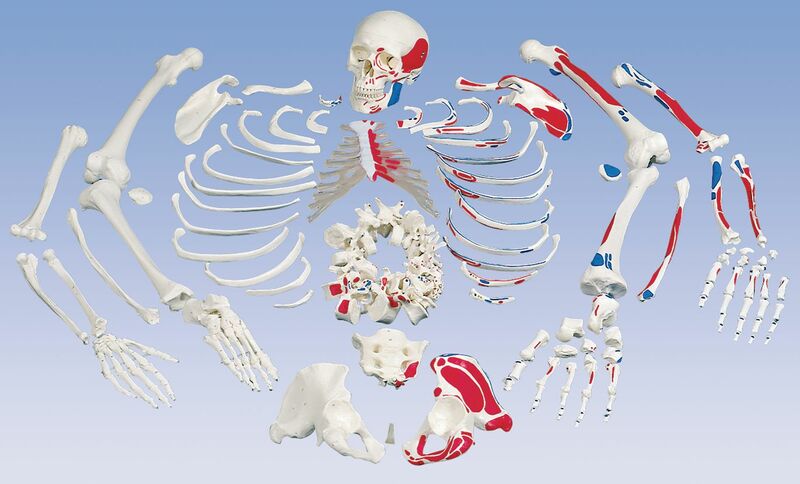 The skeleton’s bones are full-size replicas, and all bones are separate with the exception of both hands and feet. One hand and foot are fully articulated on sturdy wire while the other hand and foot are articulated on nylon to demonstrate natural movement. The skull’s calvarium is sectioned for a close-up view, and the jaw is hinged. The sternum’s intercostal cartilage is attached. Accessories information: Ward's Human Osteological Preparations brochure is available for download.